A group show of 24 emerging artists from the Wimbledon College of Arts MA Fine Art course. 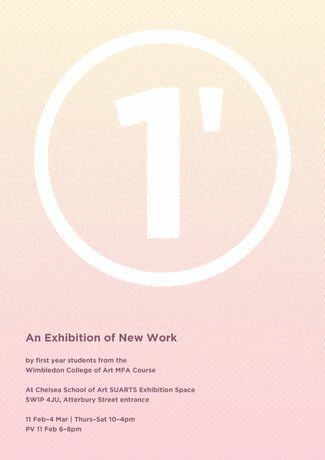 The show is called 1’ - This is not a thematic show, but artworks presented will be of these dimensions to give the exhibition unity through diverse practices. It challenges the group to create work to a specified size. It’s the first offsite exhibition for the MFA year one group from UAL Wimbledon and therefore a wonderful opportunity to explore how the group will collaborate going forward.